Tewkesbury provides a fine example of the way in which the parliamentary system worked before 1832, for it was one of the 196 boroughs which sent members to parliament, and it also illustrates the way in which our parliamentary system has evolved. There are many differences between the parliamentary system of the past and modem practice. Originally, very few people were entitled to vote; there was no uniform franchise throughout the country and qualifications varied widely, while electoral districts were of different sizes. Some were very small but still sent members to parliament; others had disappeared completely, like Old Sarum with its electorate of grass mounds and ditches and Dunwich, which had fallen into the sea. Large constituencies were allowed no more representatives than smaller places, and every county also had the right to choose two M.P.'s. There was no limit in theory to the number of votes a man could cast, as it was possible to vote in more than one place where property was owned, for elections were held on different days in different areas. Elections lasted for more than one day; in Tewkesbury they sometimes continued for a week, and were rarely shorter than two days. Thus it was possible to vote in Tewkesbury on Monday and on Friday in Gloucester, and the following week in Worcester as well! In Tewkesbury voters had two votes each. Many were 'plumpers', voting twice for the same person. Others split their votes, voting for one Whig and one Tory, also a common practice, which ensured that both shades of opinion were represented. In the past the division between parties was not as rigid as it is today, and in parliament different groups were constantly combining to support or oppose the causes of the moment. Voting was open, and there was no secret ballot. The voter had to declare to the Returning Officer the name of the candidate he wished to support. The Returning Officer might well be the voter's employer or landlord, with the power to affect his life in many ways, so a prudent voter made certain that his vote did not cause him any trouble. There was no electoral roll; citizens had to explain why they were entitled to vote. If the Returning Officer did not accept the explanation he had the right to turn the voter away. This led to much bribery and corruption; there were many occasions in Tewkesbury when complaints were made that elections had not been properly conducted, with votes accepted or rejected for party reasons. There was a town book, which was probably a list of all the people who paid rates; in 1695, a candidate removed the book, so that it was impossible to check who was qualified to vote. As parliament met infrequently, and only for very short periods, often not meeting for years on end, being an M.P. was not onerous, and certainly not a full-time occupation. In the early days the M.P. received a wage. Bennett mentions that in 1681 two M.P. 's issued a statement that 'they exonerated Tewkesbury from any paid wage' , clearly an attempt at inducement! Only boroughs which had been given the privilege by royal charter had the right to send M.P. 's to parliament; they were known as parliamentary boroughs. A borough had a town council, with the power to make bye-laws controlling minor matters, such as the deposit of rubbish in the streets, or nuisance caused by cats and dogs. Tewkesbury had had charters in the Middle Ages, but they had been granted by the Lords of the Manor, allowing the inhabitants to hold a market, a privilege that can be traced back at least as far as Domesday. The markets, however, were subject to the whim of the Lord of the Manor, who might withdraw the privilege at any time. The charter of 1575, granted by Queen Elizabeth I, conferred a higher status which could only be taken away by the crown. So in 1575 Tewkesbury became a proper borough; previously it had been a seigneurial borough, controlled by the Lord of the Manor. In 1610 the townsfolk of Tewkesbury applied to James I for another charter, which authorised the town to send two M.P. 's to Westminster: Applying for a charter was expensive; it cost three thousand pounds in 1610, a very large sum which had to be borrowed. There were good reasons for wishing to send representatives to Westminster. M.P. 's could look after the interests of the town, and there are several examples of the way in which the Tewkesbury M.P. 's did so. For example, in 1622 King John's Bridge needed repair. It had been built because King John, who had at one time been Lord of the Manor of Tewkesbury, needed a bridge to facilitate his frequent crossings of the Avon, which was probably shallower but wider then, on his journeys north. The King allocated the tolls of Tewkesbury market for the upkeep of the bridge, which Leland, who visited the town in 1540, described as being made part of wood at the north end and part of stone. Originally, the market tolls were sufficient, but in 1622 Tewkesbury petitioned parliament, pleading that the bridge was difficult to maintain, as it was subject to frequent floods, which washed the piers away. The burden of maintenance had become more than Tewkesbury could afford, so the town's M.P. 's proposed a bill to compel the county as a whole to support the bridge. Not surprisingly, the other Gloucestershire M.P. 's, for Gloucester, Cirencester and for the county as a whole, opposed the bill. The Tewkesbury M.P. 's argued that the bridge was very valuable, useful to all who travelled to Worcester, and that the whole county made use of it, while the inhabitants of Tewkesbury had very little benefit. The arguments may be seen in the diaries of one or two M.P. 's; there were no official records of debates, for parliament did not like them to be reported, but some members kept records for their own purposes, which are found from time to time amongst collections of manuscripts. There are three different accounts of the debates about the Tewkesbury bridge. In the end parliament resolved that there should be a levy on the county, but for that one occasion only. That is one of the ways in which an M.P. could help his constituents. The Tewkesbury M.P. 's also disputed the river tolls, for the town's traders did not like having to pay tolls to Gloucester or Worcester. The need to borrow money to pay for the charter led to the town becoming indebted to the brother of one of its first M.Ps.. He was William Ferrers, whose monument is in Ashchurch Church. William had lent more than €2,000 for the purchase of the charter and the Tewkesbury manors from James I, and to pay off the debt the Severn Ham was granted to him, though the townsmen's rights of common were safeguarded. Thus from 1610 Tewkesbury was a parliamentary borough, keeping the right to separate representation until 1885, although one of its two M.P. 's was taken away in 1867. After the reforms of 1885 Tewkesbury joined Cirencester, which had also lost separate representation, to form one largely rural constituency. The original charter stated that the bailiffs, burgesses and commonalty of the town could vote. There were two bailiffs, who held office for a year, and who ran the business of the town, so they were the equivalent of a mayor, an office Tewkesbury did not have. 'Burgesses' may be interpreted narrowly as the twelve men on the town council, for it was common to refer to the council as the burgesses. In the country as a whole there were twenty-nine boroughs where members of the town councils were the only people allowed to vote. Another interpretation of 'burgesses' is that it meant everybody who occupied freehold plots, or burgages, in the town. Essentially a borough consisted of freeholders, people who owned their land. Quite often the term 'freeholders' was used Instead of 'burgesses'. As time passed the pattern of ownership changed; in Tewkesbury particularly there were the alleyways where cottages were built to make money for the people who owned the plots. Were the people who owned houses in the alleys burgesses? Some of them were relatively wealthy, like the owner of the large house which became the Old Baptist chapel, although others were poor, so there was a problem with the interpretation of 'burgesses'. Then there was the 'commonalty', which could have meant anybody. There were instances where anyone who spent a night in a town was allowed to vote, but the most usual interpretation was that the commonalty were the people who either paid rates in the town (known as 'scot and lot'), or people who had Independent households, known as 'potwallopers'. Anyone receiving poor relief was not allowed to vote, as that meant that he was not independent, which was felt to be important; if you owned property you were not subject to pressure from a landlord. There were also the freemen of the town. They were perhaps the 'commonalty'. When a town became a borough with a council, freemen were allowed to trade freely in the town, while traders who were not freemen had to pay tolls. In the 16th. century all freemen were probably also freeholders; only freemen were eligible for the town council. At the time of the first charter in 1575 a list was made of all those admitted freemen. There were 245, plus the 12 councillors and the two bailiffs, a total of 259. Thereafter the son of a freeman, or an apprentice who had served an apprenticeship of seven years to a freeman or to his widow, automatically qualified as a freeman. It was also possible to buy the privilege from the Town Council, and some did so every year. Even later on, when it was less important to be a freeman in order to trade, people still desired the privilege because of the status it gave, and because freemen could stand for the council, and vote in parliamentary elections. The electorate was thus about two hundred and fifty in the early days. Throughout the seventeenth century voters were people who had front doors which gave onto the three main streets, High Street, Church Street and Barton Street, that is, owners of burgage plots. (The same qualification is still used for shares in the common rights of the Ham.) In the eighteenth century the franchise was widened, and all householders were allowed to vote, regardless of where their front doors were. The system proceeded happily for a few years. The first election was held in 1610, but after that there were few elections while James I was on the throne. Under Charles I there were eleven years with no parliament, followed by an election in 1640. The first election in Tewkesbury in that year caused little excitement; two members were elected without any fuss. However, Charles dissolved this parliament, hoping to manage without one, but at length was forced to call another parliament. In Tewkesbury this second election of October 1640 was a far more exciting affair. The two bailiffs both returned two members, but they did not agree as to who had been elected, for one of them had limited the franchise to freemen and returned one moderate and one conservative, while the other had allowed all householders to vote, and returned one moderate and one radical M.P.. Only parliament had the authority to pronounce on the validity of an election, and eventually decided that both results should be invalidated and a fresh election held. By that time Charles had deserted London and set up a parliament in Oxford, so the members left in Westminster were able to accept the two more radical candidates elected in Tewkesbury. There was another exciting election in 1831, described in some detail by Bennett. There was again an important principle at stake, that of the system of parliamentary representation. There was countrywide agitation for reform, for there were many anomalies. In one town only the council could vote, in another everyone had the right, while some towns, known as pocket boroughs, had as few as SIX voters. It could not be considered a democratic system. The 1831 election in Tewkesbury was specifically on the question of reform. One of the Tewkesbury candidates was John Edmond Dowdeswell, who voted against the Reform Bill. Bennett says that during the election 'much party spirit was displayed. The poll lasted two days, Monday and Tuesday, and Bennett reports that about eighty voters were excluded because the poll was not opened on the Wednesday morning. On Monday, after they had been proposed and seconded, 'the several candidates then addressed their constituents from the hustings; after which the polling immediately commenced'. It is easy to imagine the scene, with the people massed in the street and the hustings, which was the temporary platform erected outside the Town Hall. The candidates made their speeches, then the Returning Officer asked who wished to vote for Dowdeswell, to be answered by a great clamour of voices. If there was no clear result the Returning Officer would have to call for a poll, a counting of heads, when everyone had to go up, explain why they were qualified to vote and choose a candidate. Sometimes after an election a list was published showing how people had voted, and pollbooks for Tewkesbury for the elections of 1797 and 1831 survive. Three hundred and eighty-seven voters were polled in 1831, and of that number more than half did not live in the town, for a freeman, or anyone who owned property in the town, could vote even if he lived elsewhere. As usual, one Whig and one Tory were returned. In 1832 the franchise was standardised in all the boroughs and all owners of property worth ten pounds a year were given the vote. 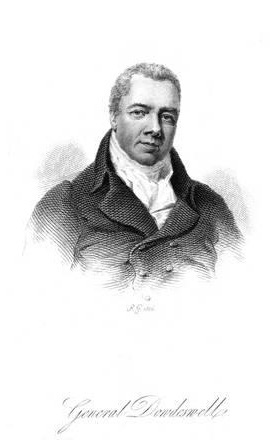 Lord John Russell, who was proposing parliamentary reform, had canvassed the country beforehand to find out what the effect would be of making different sums of money the qualification for voting. He investigated the number of people who would be enfranchised if there were a five pound qualification, the number with a ten pound qualification and the difference a greater sum would make. He balanced the Act, to allow a few more voters, but not too many. By setting ten pounds as the qualification he kept the franchise strictly limited and excluded all the poor. In Tewkesbury, for example, there were hundreds of houses that were rated at only five pounds a year, There were only 198 houses in the old borough rated at ten pounds, out of 1245 inhabited houses in the parish of Tewkesbury, and thirty-seven outside the borough but in the parish, and there were thirteen houses in the borough with land in the parish, making the total number of potential voters 248, so here the change in the franchise would make little difference. Those who beforehand had been technically qualified to vote did not lose the right as a consequence of the reforms, but as the years passed the number of such cases inevitably became fewer and fewer. Another change in 1832 was the Introduction of an electoral register. We can recognise familiar names on the 1832 register, like James Bennett. He could vote because he owned land in the Gastons; he did not own his house in High Street. The introduction of the electoral roll tightened qualification for the vote, making corruption more difficult. 386 voters were registered, and 364 voted, returning two Whig M.P. 's and causing William Dowdeswell to lose his seat. In 1867 the franchise was widened again, when all householders were given the vote, which enlarged the franchise in Tewkesbury quite substantially. In 1874, after the 1867 extension of the franchise, the Tewkesbury electorate was roughly doubled. The last Tewkesbury election was in 1880. In 1884 the vote was given to agricultural workers and the boundaries of the constituency changed; the town joined with Cirencester to form a new constituency. The members who sat for Tewkesbury were not townspeople, but gentry who often lived outside the town. The most noteworthy were the Dowdeswell family, who established what was almost a dynasty, with successive members of the family holding one of the two seats. The Codrington family were linked with them by marriage, and two of them also sat for Tewkesbury. The Dowdeswells continued to hold the seat into the nineteenth century and the end of separate representation of the town, when an M.P. 's work had become far more onerous. At the next election, following the recommendations of the Boundaries Commission, Tewkesbury will again be a constituency in its own right, so history may be said to repeat itself. It is to be hoped that the new MP will serve the town as well or even better than his illustrious predecessors.